It is a 100W Switching Power Supply/Adapter/Power Converter, Input Voltage: AC110/220V ±15%, Output .. 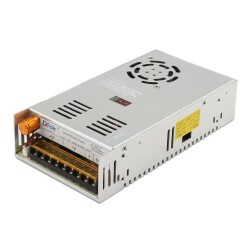 It's a Switching Power Supply Module,Input voltage: 90V to 240V AC 50HZ/60HZ,Output voltage: 24V (±0.. It is a 12W Voltage Regulator/Adapter/Switching Power Supply, Input voltage: 90VAC to 240 VAC 50/60..
15W Power Converter/Voltage Regulator/Switching Power Supply, Input voltage: 90V to 240V AC (full lo.. It is a 18W AC Power Supply Module/Charger, Input voltage: AC 110V~240V, 50/60Hz, Output voltage: DC.. It is a Switching AC Power Supply/Driver, Input voltage: AC 110 ~ 220V ± 15%, Output: DC 0 ~ 24V 20A.. It is a 48W Switching AC Power Supply/Adjustable Adapter, Input voltage: AC 110 ~ 220V ± 15%, Output.. It's a 5W Transformer for for LM1036 Home Audio Amplifier,Input voltage: AC 220V 50Hz,Ouput volta.. It is a 6W Adapter/Switching Power Supply/Voltage Regulator, Input voltage: 90V to 240V AC 50HZ/60HZ.. It is a 7.5W Switching Power Supply/Adapter, Input voltage: 90VAC to 240 VAC 50/60HZ, Output voltag.. It's a Input voltage: 90VAC to 240 VAC 50/60HZ,Output voltage: 12V (±0.1V),Output power: 5W,Applied.. It's a AC to DC Volt Regulator,Input voltage:AC110V-240V 50/60Hz,Output voltage: 18V DC 5A,short cir..